Ten people were arrested on Wednesday in Uttar Pradesh and Delhi in connection with an investigation into a new module of the Islamic State. The arrests were made during the course of the National Investigation Agency’s raids at 17 locations in New Delhi and Uttar Pradesh. Congress leader Jairam Ramesh has moved the Supreme Court seeking a review of the court’s judgement upholding the passage of the Aadhaar Act in Parliament as a Money Bill. Union Law Minister Ravi Shankar Prasad has advocated reservations for Scheduled Castes and Scheduled Tribes in the judiciary. 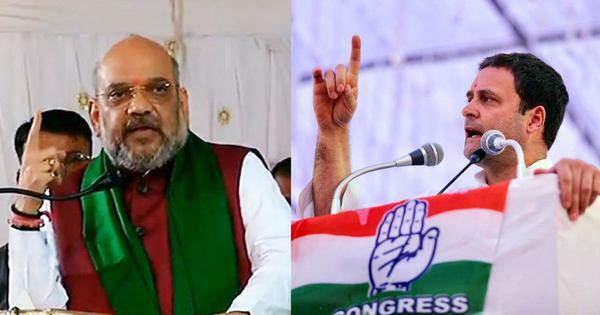 Union Human Resource Development Minister Prakash Javadekar and Sudhanshu Trivedi will be responsible for the BJP’s campaign in Rajasthan, while Minister of Social Justice and Empowerment Thawarchand Gehlot will be in charge of Uttarakhand. Meanwhile, T Narasimha Murthy, a human rights activist, urged the State Human Rights Commission to issue a notice to the chief minister to seek an explanation. Murthy called the remarks a “clear violation” of human rights, and asked the commission “to examine the implications and impact of such emotional remarks on the police, judiciary and public”. All India Majlis-e-Ittehadul Muslimeen chief Asaduddin Owaisi on Wednesday criticised the Adityanath government in Uttar Pradesh after the police in Noida issued an order banning namaz in public spaces. Owaisi said the government was showering petals on kanwariyas (devotees of Shiva) but was issuing notices against Muslims. In a meeting with senior officials in Lucknow, the chief minister said the government has sanctioned Rs 10 crore to each of the 16 municipal corporations to arrange for sheds for stray cows, and Rs 1.2 crore to every district for setting up new cow shelters. On December 11, the Telangana Rashtra Samithi won the Assembly elections with a thumping majority to return to power in the state. This was Rao’s first meeting with Modi following the elections. Ten of the 16 persons detained for questioning have been arrested and more arrests may follow, the agency said. 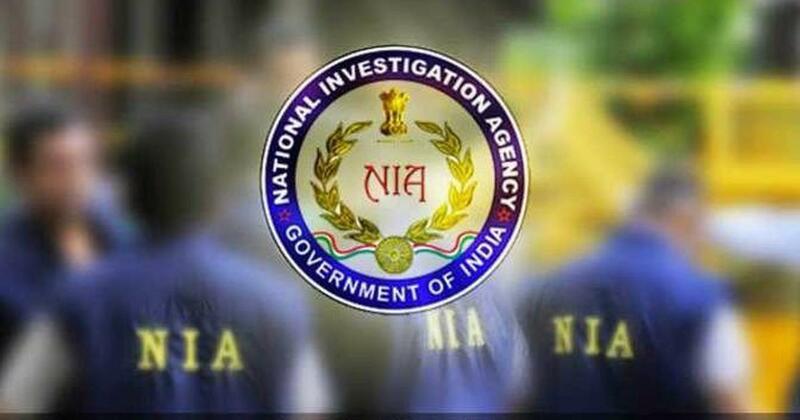 All the accused will be produced before a National Investigation Agency court on Thursday. Union Parliamentary Affairs Minister Vijay Goel on Wednesday said the Centre will present the triple talaq bill in the Lok Sabha on Thursday. The Centre had tabled the Muslim Women (Protection of Rights on Marriage) Bill, 2018, last week in the Lower House. An adult male rhinoceros was found dead with its horn missing on Tuesday at the Gorumara National Park West Bengal’s Jalpaiguri district. The Shiv Sena on Wednesday took a jibe at Prime Minister Narendra Modi, saying that the Centre’s notification on the monitoring of computers was a sign of his “restlessness” to retain power. In a remark meant to mock Opposition parties, Modi had on December 24 said power is like “oxygen for some people” and politicians nowadays get restless if they stay out of it for even “two or five years”. A Bharatiya Janata Party leader in Uttar Pradesh was on Monday caught on camera using a stick to assault a disabled man who was supportive of former Chief Minister Akhilesh Yadav. The disabled man was allegedly in an inebriated state and was arrested for breach of peace before being released on Tuesday. The Rajasthan government on Tuesday transferred 68 Indian Administrative Service officers, including 27 collectors, in a major reshuffle in the state bureaucracy since the Congress came to power in the state. Ten people allegedly linked to a new module of the Islamic State group were arrested on Wednesday in Uttar Pradesh and Delhi in a joint operation by the National Investigation Agency and police of the two states, the agency said. Gujarat Chief Minister Vijay Rupani on Tuesday claimed that the Congress treated Muslims as a vote bank. “For over 50 years, the Congress treated Muslims as mere vote bank, as a result Muslims lagged behind in education, employment and in terms of economic development,” Rupani said, adding that vote bank politics should come to an end. Puducherry Chief Minister V Narayanasamy on Tuesday said farmers might revolt if the Centre refuses to take into account Tamil Nadu and Puducherry’s objections to the construction of a dam across the Cauvery in Karnataka’s Mekedatu. Union Law Minister Ravi Shankar Prasad has advocated reservations for Scheduled Castes and Scheduled Tribes in the judiciary through an all-India judicial service examination conducted by the Union Public Service Commission. A cold wave continues across North India on Wednesday morning, with the minimum temperature dipping to 3.6 degrees Celsius in New Delhi, the lowest this winter. According to the meteorological department, this was four degrees below the season’s average. The Uttar Pradesh Forest Department on Wednesday arrested golfer Jyoti Randhawa on charges of alleged poaching at the Dudhwa Tiger Reserve in Bahraich district. Several weapons were also recovered from his possession. The Centre has reportedly not selected Kerala’s float for the Republic Day parade in Delhi. The float’s theme was Renaissance movements such as the Vaikom Satyagraha against untouchability and the Temple Entry Proclamation. State-owned Punjab National Bank has decided that the national anthem will be played at every annual general meeting and extraordinary general meeting, which are usually held to seek the approval of shareholders on important matters, The Indian Express reported on Wednesday. A shareholder proposed the idea at the last annual general meeting on September 18. The number of Indians living in Canada who obtained citizenship increased by 50% this year, The Times of India reported, quoting immigration authorities. During the 10-month period ending October 2018, as many as 15,016 Indians obtained citizenship after having lived in the country as permanent residents for a certain period of time. Congress leader and Rajya Sabha member Jairam Ramesh has moved the Supreme Court seeking a review of its September 26 judgement upholding the passage of the Aadhaar Act in Parliament as a Money Bill. Union minister Giriraj Singh on Tuesday said the country needs a law to control a growing population that is impeding progress and harmony in society. “For development and social harmony in the country, controlling the population is important,” he said. Former Prime Minister and Janata Dal (Secular) chief HD Deve Gowda on Tuesday said he was disappointed at not being invited for the inauguration of the Bogibeel bridge – India’s longest rail and road bridge – even though he had laid the project’s foundation stone in 1997. State-owned banks are expected to remain closed on Wednesday on account of a nationwide strike called by unions against the proposed merger of Vijaya Bank and Dena Bank with the Bank of Baroda. A 23-year-old woman in Virudhunagar district of Tamil Nadu has tested positive for the human immunodeficiency virus or HIV after having a blood transfusion at Sattur government hospital early in December. Karnataka Chief Minister HD Kumaraswamy on Tuesday defended his statement asking a person on the phone to “kill mercilessly” the murderers of Janata Dal (Secular) worker Prakash, who was killed on Monday in Mandya district’s Maddur town.